The more I visit Aylesford Priory, the more I see and the more attached I become to the place. 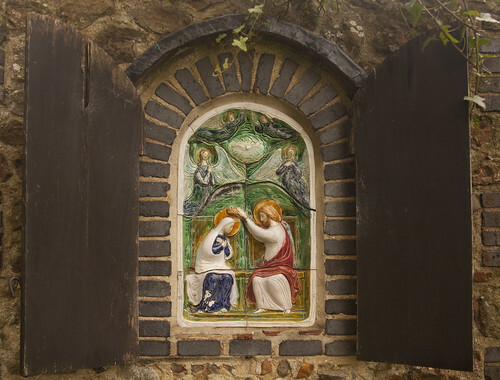 This year I took photographs of all the fine ceramic reliefs of the Mysteries of the Rosary in the Rosary Walk. Next year I want to get the very interesting Stations of the Cross in the Relic Chapel, where we have Mass. At this time of difficulty in the world and in the Church, we need more than ever to maintain our spiritual lives. 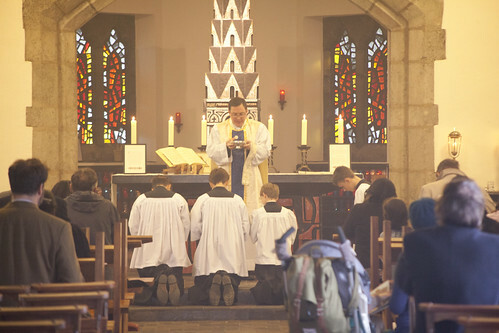 Don't neglect the opportunities for joining others in prayer in places specially chosen by Our Lady to show us her favour, in places like Oxford where the martyrs shed their blood, and on occasions like the LMS Annual Requiem when we pray for the dead with the greatest possible solemnity. On the left is a depiction of Our Lady blessing the scapular of St Simon Stock: the origin of the Brown Scapular devotion, worn by millions of Catholics around the world. 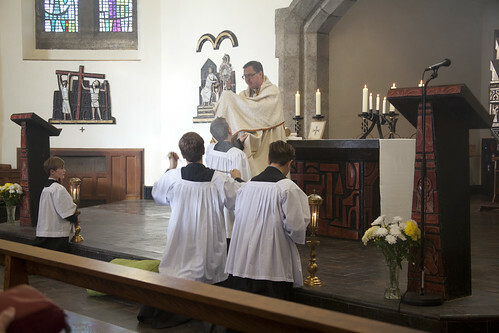 The vision in which this took place may well have been at Aylesford, which was a Carmelite Priory then, as it is today. 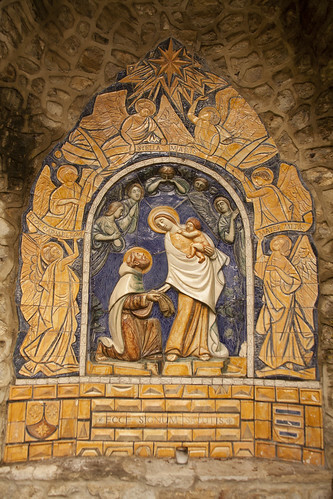 The Coronation of Our Lady, in the Rosary Garden. 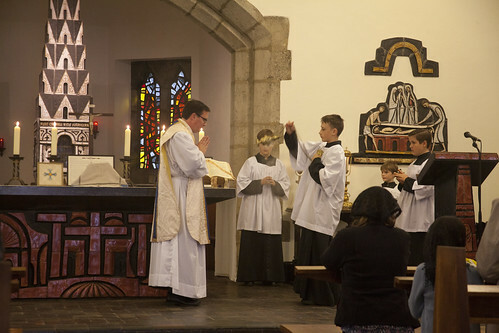 Fr Marcus Holden celebrated a Missa Cantata, with a serving team of four composed entirely of boys under the age of 12. 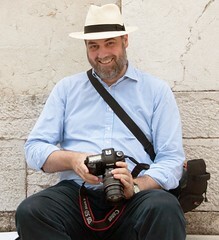 As has become a custom of the pilgrimage, many pilgrims were 'invested' with the Brown Scapular after Mass. 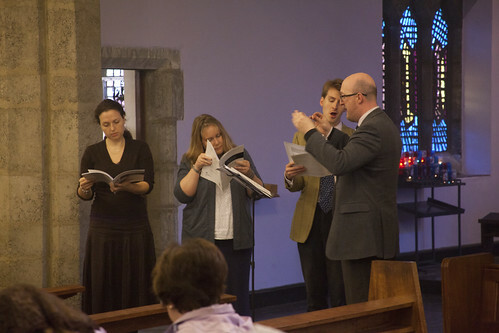 Mass was accompanied by Cantus Magnus, led by Matthew Schellhorn. 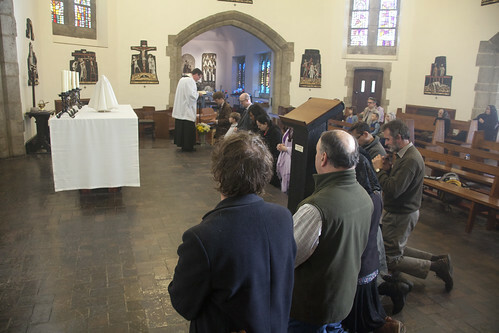 We also had Benediction, after a talk from Fr Marcus on the Brown Scapular. 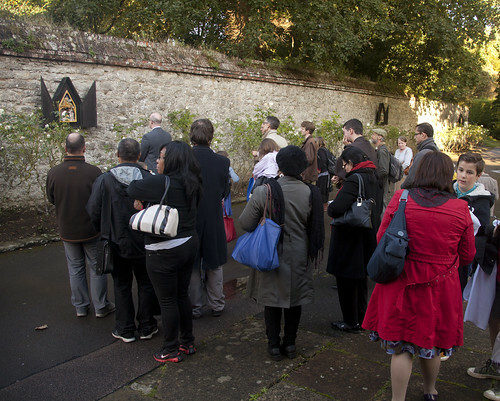 The pilgrimage concluded with the Rosary in the Rosary garden. Thank you for your support and presence!